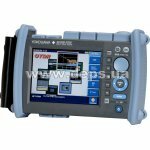 Optical reflectometer Yokogawa AQ1200 is the latest model of optical reflectometers Yokogawa, even more compact and lightweight. 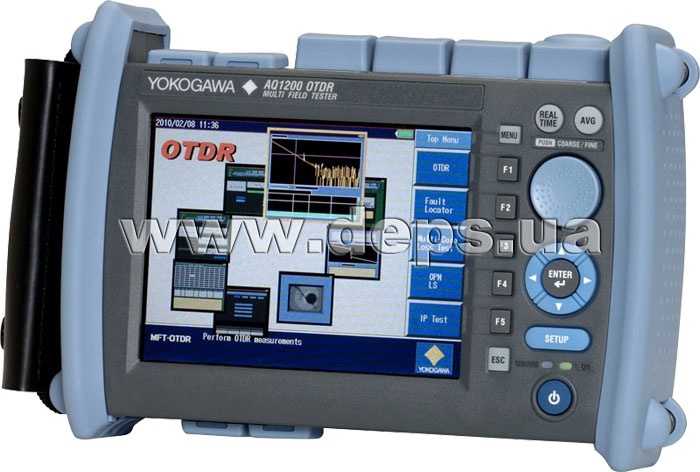 Like the other models of Yokogawa reflectometers it provides high measuring speed and accuracy due to intelligent software optimized for measurement of networks of different architectures, and outstanding technical characteristics of the device. 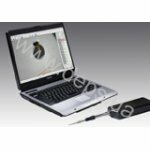 Small size and light weight make it ideal for measurements in the field conditions. 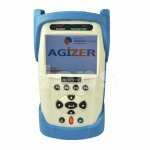 There are also many auxiliary features and functions (in the form of factory-set options), which greatly extend the reflectometer capacities. 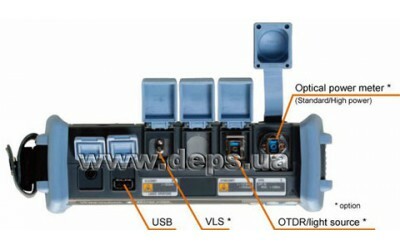 AQ1200A (1310 nm/1550 nm) is a model with standard operating wavelengths for provision of telecommunication services. 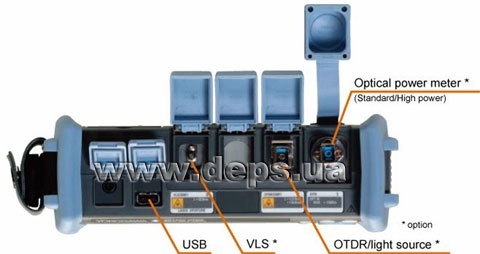 Used at construction and operation of optical lines. 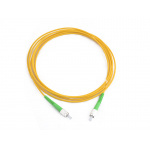 AQ1200B (1625 nm), AQ1200C (1650 nm) are models with operating wavelengths (1625 nm and 1650 nm) for servicing of optical lines. Application of the wavelengths different from the operating wavelengths of communication services, ensures minimum effect on those services when operating without service interruption. Special optical filter built into the reflectometer weakens influence of communication signals on the reflectometer measurement accuracy. Signal level is dispalyed as a five-unit number with a step 0.001 dB. Functions of loss measurement at a fiber section, long attenuation, local inhomogeneity loss. Functions of reflectometry from local inhomogeneity, total reflection factor at a line section. Not less than 1000 “scan images”. Measurement results and conditions are saved. 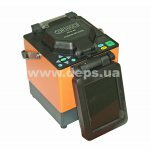 Operation before recharging – about 6 hours (30 sec. of measurement every 10 minutes, in an energy-saving mode). Charging duration – less than 5 hours. *1 - SNR:1, pulse duration: 10 mcs, measurement duration: 3 min. 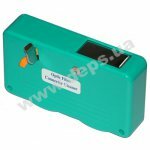 *2 – pulse duration: 3 ns, return loss: 55 dB or greater. 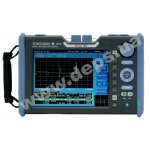 *3 – pulse duration: 10 ns, return loss: 55 dB or greater, in the point with backscattering within ±0.5 dB of normal value. 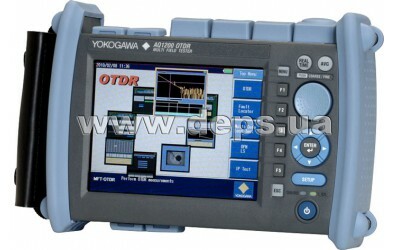 Saving of up to 1000 measurement results; readout interval: 0.5, 1, 2, 5 or 10 sec. *3 – at 23°C ±2°C; at continuous radiation mode, during 15 min.